Heritage Open Day at St Oswald’s, Guiseley. 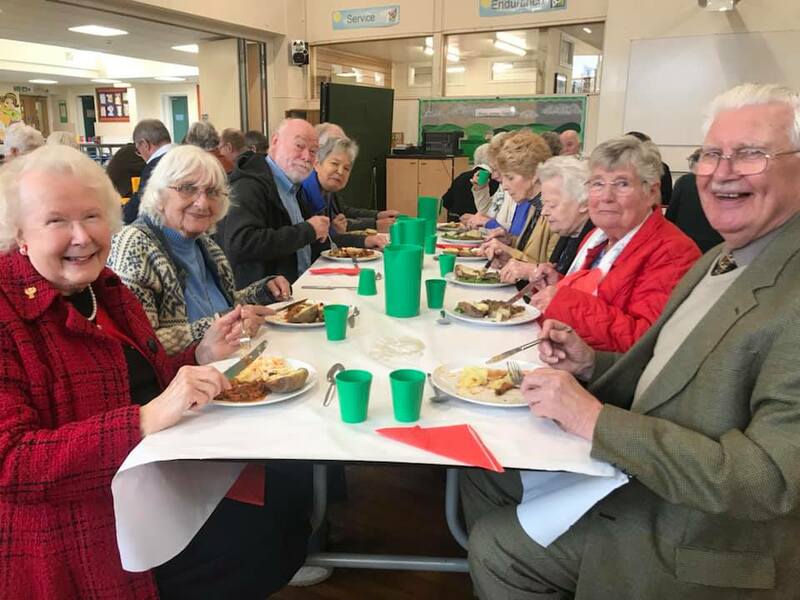 Our Rector is Chaplain to HMS Ceres – The Royal Naval Reserve Unit for the City of Leeds and surrounding areas. 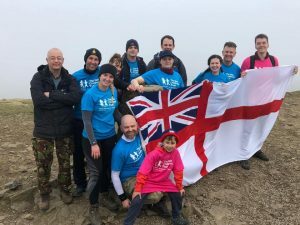 As part of the ship’s company’s attempt to raise funds for the Sick Children’s Trust Father David took part in the Yorkshire 3 Peaks challenge. The Sick Children’s Trust is supporting the 4 year old son of one of the company’s petty officers who unfortunately has developed cancer . 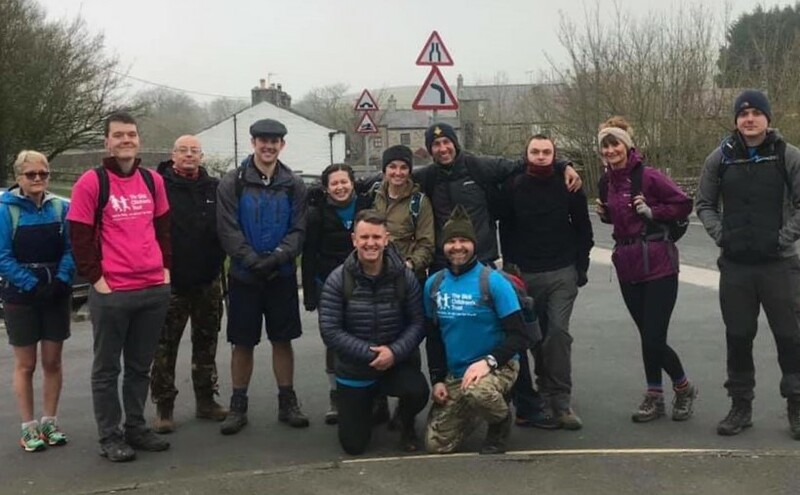 The walk was completed in 11 hours and raised nearly £3000 towards this great charity. Congratulations to all concerned! 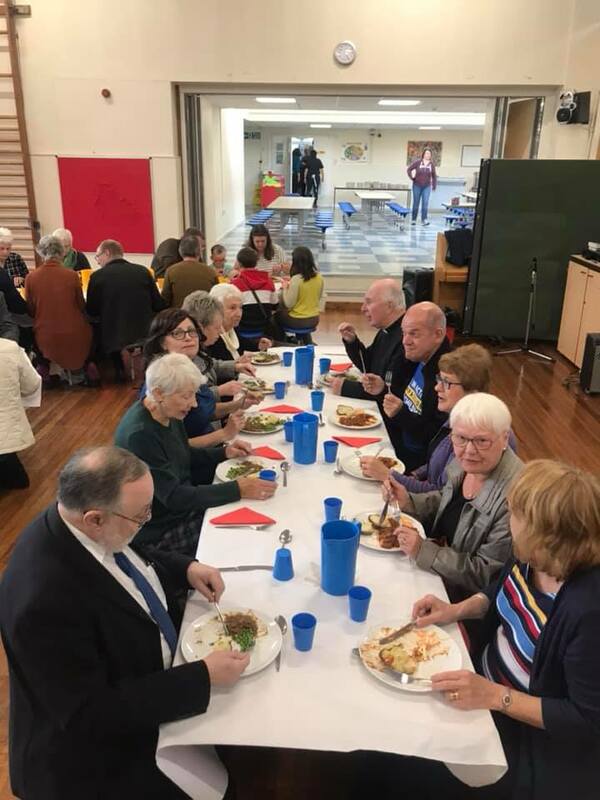 We enjoyed a wonderful Harvest Festival service and communal lunch at St Oswald’s School. 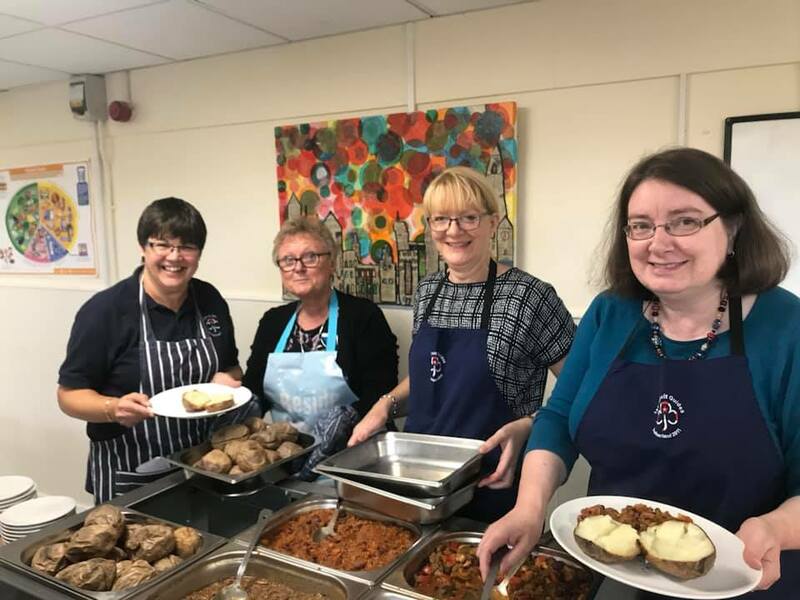 Harvest also marked the end of our three week Time & Talents campaign, asking people to offer their time and talent to our two churches: St Oswald’s Guiseley and St Paul’s Esholt. Well done and thank you to all those who have put in so much effort, both today and the last few weeks, we are truly blessed to have you. 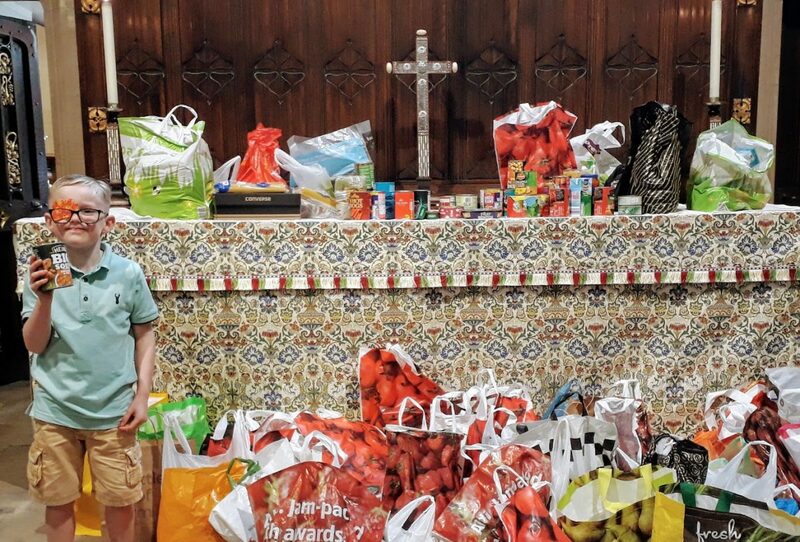 The produce – generously given by the congregation at our 9.30 service – has been donated to Bradford North Foodbank.